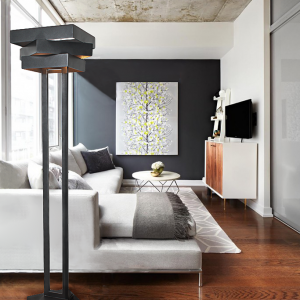 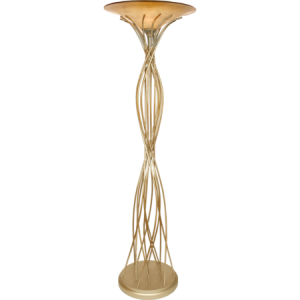 This gorgeous floor lamp starts out with a gold leaf base then fades into a silver leaf top. 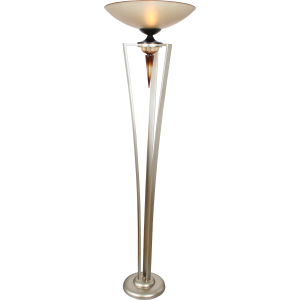 Is topped with a a rectangular shaped white shade. 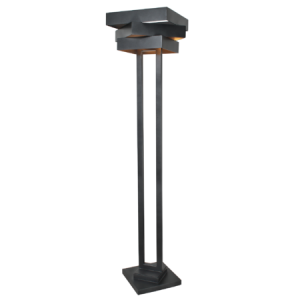 This industrial design features a Weathered Steel finish, has 3 Square shapes design for shade. 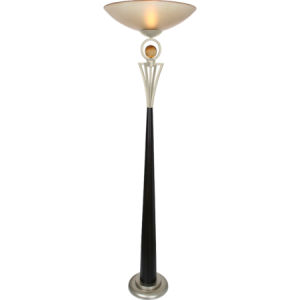 Stands 72″ tall with foot dimmer. 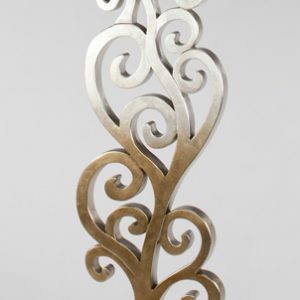 12 strands to create this beautiful swirl effect, has Silver Jacobean finish with a Wheat Ginger Etched acrylic shade. 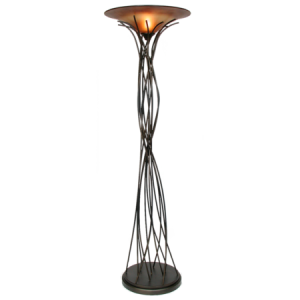 Stands 74″ tall with foot dimmer.